Want top-of-the-line spa equipment? 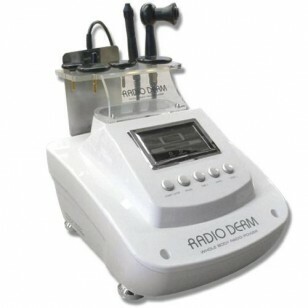 We recommend the Radioderm spa machine! It’s versatile, and it addresses a lot of common skin concerns that many of your clients have. 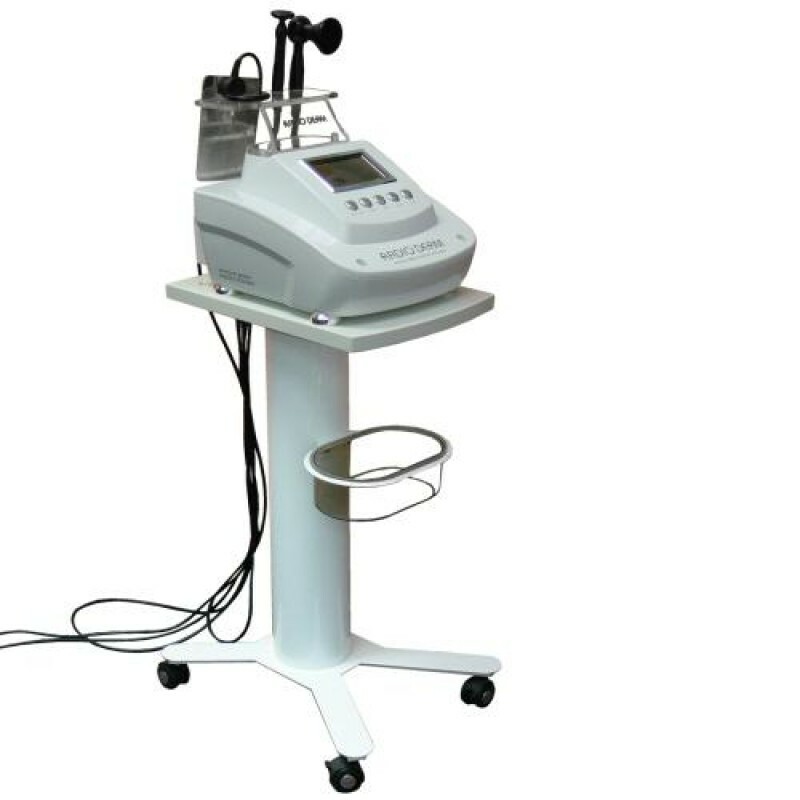 Reliable esthetician equipment like this unit not only help to improve skin’s elasticity, but also visibly smoothes wrinkles and makes skin appear firmer. The Korean-made Radioderm unit also reduces the appearance of puffiness and cellulite and visibly tightens and tones skin. The Radioderm unit comes with 2 handles (1 for the face and 1 for the body), electrodes (6 round ones with different diameters for eye, face, and body application), and an earth plate. There’s also an attached holder to keep your handles and electrodes within arm’s reach. It features a bright LED screen on the front plus a time display, so you always know how long you’ve been treating your client. For added convenience, it has a level bar, which indicates the heating intensity from minimum to maximum. There are 5 buttons to help you control the treatment: Start/Stop, Pause, Time, Level – (to decrease the heating intensity), and Level + (to increase the heating intensity). Click here to see our YouTube video showing how to use it in a professional skincare treatment!